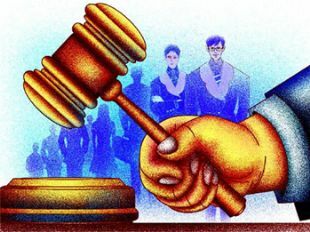 The Maharashtra State Consumer Disputes Redressal Commission has held that an insurance claim cannot be repudiated by bringing up an exclusion clause which was not brought to the notice of the policy holders. If an insurance company does not educate the insured about the exclusion clause in the policy, then claim must be paid by the insurer. Following a complaint filed by some Achala Marde of Maharashtra, whose husband Rudrani met with an accident and died before being admitted to the hospital, the Forum directed the insurance company, Bajaj Allianz General Insurance Company Ltd. to pay the insurance amount of Rs 5 lac as well as Rs 1.60 lac towards compensation to the nominee. The Forum found insurer guilty of deficiency in service. The insurer had rejected the claim on the basis that 121 mg per litre of ethyl alcohol was found in the blood sample of the insured at the time of the accident, which violated the terms and conditions of the policy. On December 24, 2009, Rudrani, a biker died in an accident. The claim, after being rejected by a district consumer forum, Rudrani’s widow, Achala Marde had appealed before the state consumer forum. In her filing, Achala asserted that the reflection of ethyl alcohol in the blood sample was due to the ethyl substance medicine administered to save her husband’s life. She also said that her husband never consumed liquor or any intoxicating substance. Further, she alleged that the terms and conditions relied upon by the insurer were not brought to her husband's notice. While the insurance company contended that the claim was rejected on the basis of violation of exclusion clause of the policy. It said that the victim Rudrani was under the influence of alcohol at the time of accident. Pointing out the police panchnama, which clearly says that the victim was hit in the motorbike accident by the rash and negligent driving of the oncoming motorcyclist and criminal proceedings have been lodged against him, the Forum held that it can in no way be established that the presence of alcohol in the blood report was a contributory cause to the fatal accident. Thank you for sharing useful information about accident compensation.It will help a lot of people. Glad to hear that... Do visit our website http://www.insuringindia.com. We would love to assist you.